Minuteman is tuning his rover for over 20mph in the straights and well over 10mph in corners by carefully analyzing sensor plots and optimizing vehicle dynamics. How do you beat that?! He took 2nd place last year. Tom Coyle, APM:Rover developer, working with Tridge, had his robot buttoned up so early and doing so well he already shipped it to Colorado several days ago. Tom won 1st place last year. The code is much, much better now. There are undoubtedly other strong competitors in Peloton this year, too. At this stage, it doesn't look like I will be one of them. I'll need another breakthrough. You can find a variety of videos on youtube for other AVC entries. SHARC, my robot club, is fielding several entries. 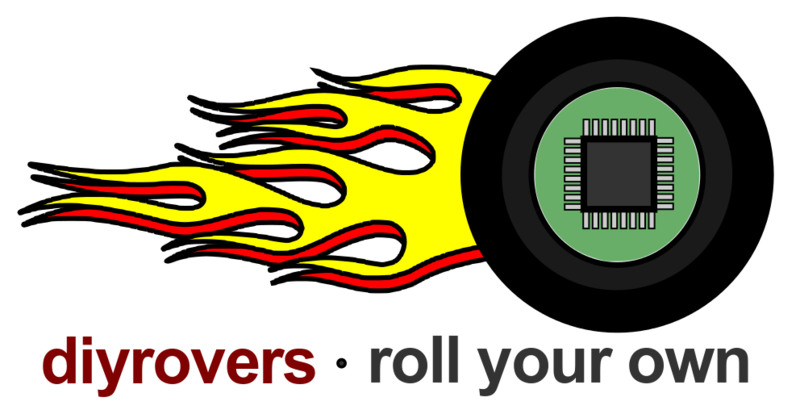 The diyrovers list has lots of people rolling their own rovers this year, too. I'm still working on fixes for the heading drift and path following oscillation I saw before. To address heading drift, I implemented bias as a third state variable in my Kalman Filter so that I can use that bias throughout the run. Testing and simulation look promising. I found several bugs along the way and changed the gyro resolution down to 250 degrees/sec. But the latest test saw the robot doing crazy circles. I'm afraid to find out why. I haven't had a good path following run in many months. Processing lag may account for instability with pure pursuit path following I'm using. A simulation I ran as well as a scholarly paper point to this as a possible problem. It's probably just a stupid bug, though. With only 10 days left, let's hope I find it and all the other ones that matter.